Dayton (Ohio) based Eudora Brewing Company (EBC) apologized and removed Hindu deity Lord Ganesh’s image, associated with its “Samsara Imperial Rye IPA” beer, from its website, within few hours of Hindu protest calling it “highly inappropriate”. Zed, who is President of Universal Society of Hinduism, in a statement in Nevada today, thanked Chabut and EBC for understanding the concerns of Hindu community which thought image of Lord Ganesh on such a product was highly insensitive. Zed had earlier said that inappropriate usage of Hindu deities or concepts or symbols for commercial or other agenda was not okay as it hurt the devotees. Rajan Zed had indicated that Lord Ganesh was highly revered in Hinduism and he was meant to be worshipped in temples or home shrines and not to be used in selling beer. Moreover, linking a deity with an alcoholic beverage was very disrespectful, Zed added. Hinduism was the oldest and third largest religion of the world with about 1.1 billion adherents and a rich philosophical thought; and it should not be taken frivolously. Symbols of any faith, larger or smaller, should not be mishandled, Zed had noted. It was deeply trivializing of immensely venerated Hindu deity Lord Ganesh to be portrayed on a beer label with what appeared to be a hop flower on his head and one hand, rye bunch in another hand, and mash brewing paddles on other two hands; Rajan Zed had stated. 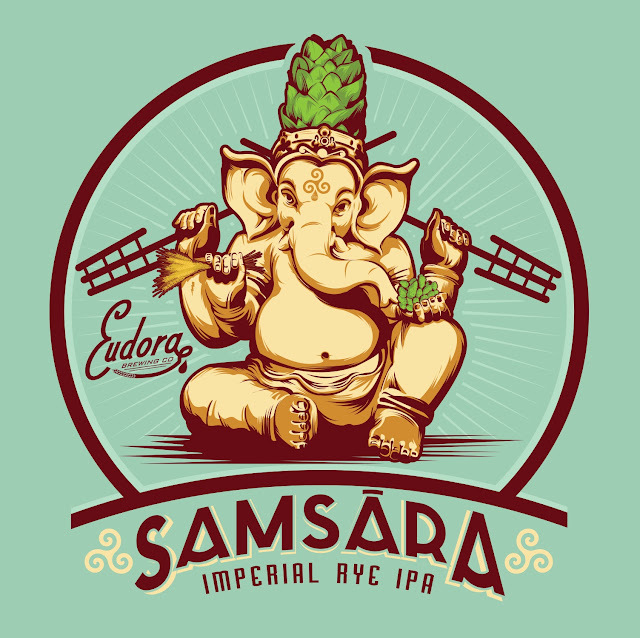 “Samsara Imperial Rye IPA” (Bitterness 100+ IBUs, ABV 9.5%, Color Pale Gold) was stated to be “brewed with rye malt, which gives it a sharp, slightly spicy malt character. A unique blend of four American hop varieties boost the bitterness levels and make for truly unique hop flavor and aroma profiles”.